Manufacturers have two primary channels for getting their products to market and putting them in the hands of customers. The first channel is direct sales, which holds many challenges for manufacturers. Direct sales—selling directly to customers—requires manufacturers to be specialists in every aspect of the marketing and supply chain strategies involved in building, storing, marketing, selling, and delivering their products to customers, retail stores, or other outlets. Because the direct sales model is so challenging, many manufacturers prefer to work through distribution channels to market their products. Distributors buy directly from wholesale manufacturers, then market those products through a network of retailers. Distributors handle the logistics and marketing requirements that manufacturers don’t want to or aren’t able to handle in house. The manufacturer-distributor relationship benefits both parties. At its best, this is a partnership that helps both partners meet their goals. But in order to get the most out of the relationship, manufacturers and distributors need to carefully manage the relationship to make sure both parties are in alignment. In this post, we’ll talk about how to do that. The Manufacturer-Distributor Relationship: Tactical or Strategic? Not all manufacturer-distributor relationships are equal. Some are tactical, some strategic. A key element of success in a manufacturer-distributor relationship is for both parties to be on the same page as to whether the relationship is strategic or tactical. This will set the expectations for the type of support both parties give to this relationship. A strategic relationship requires closer collaboration from both the manufacturer and the distributor in the form of marketing, branding, and product development. In a strategic relationship, a distributor doesn’t just push product, they also provide feedback: customer feedback and insights, possible product improvements, and new products to meet demand identified in the market. The distributor is essentially the expert on the customer, while the manufacturer is the expert on designing, developing, and producing the product. In a strategic relationship, broader long term goals are being met. Maybe the manufacturer-distributor relationship allows the manufacturer to introduce product into new markets. Maybe the distributor is able to expand into carrying new types of offerings. In either case, there is a benefit to one or both parties that extends beyond simply selling more product. A tactical relationship is more limited. Tactical manufacturer-distributor relationships tend to be mainly about increasing sales. Manufacturers build the product, distributors handle the logistics and marketing involved in getting those products into the hands of customers. The software industry refers to its distributors as “box pushers,” and while this is an unfair characterization of what software distributors do, it does shed light on how a tactical distribution relationship might be perceived from the manufacturer end. A tactical relationship is easier to replace, so both parties will likely want to look at how to make the relationship more strategic, else they face the possible loss of a significant source of revenue. What is the nature of the relationship between manufacturers and distributors? Is it a hierarchy? Something similar to an employer/employee relationship, where the distributor essentially performs a service for the manufacturer? Or is it a customer relationship, where the distributor simply acts as a buyer for the product, and the manufacturer doesn’t have to worry about what happens after the distributor takes possession? None of these approaches to the manufacturer-distributor relationship are likely to be successful. At its core, every manufacturer-distributor relationship is, or should be, a partnership. It might be limited in nature, or it might be more encompassing. But in either case, the relationship is important to each partner; they should invest accordingly. Why don’t more manufacturers and distributors approach their relationship in this way? Because managing a partnership is more challenging than a hierarchy or supplier/customer relationship. However, a partnership pays off big dividends for those that manage one. Maintaining the integrity of their brand as products pass through the distribution network. Attracting top sales talent to sell their products; this is a distributor’s responsibility. Creating engagement with the right distributors, reps, and customers. Failure to understand the manufacturer-distributor relationship. If you’ve gotten this far, then you already understand that the relationship isn’t a customer relationship, even though invoices are sent to the distributor. The distributor also isn’t an employee—they’re an independent business whose goals may not always align with yours. 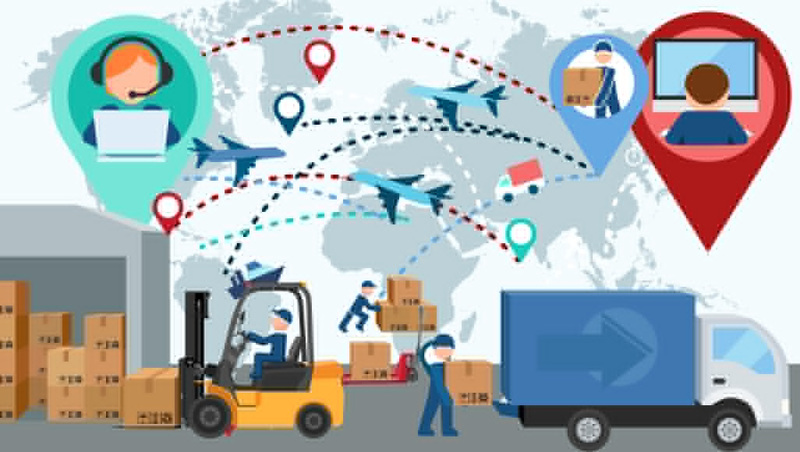 Manufacturers need to remember that the real customer is further down the supply chain; the distributor’s role is to help you get your products into as many of the end-customer’s hands as possible. Failure to understand the distributor’s business. The distribution business is a margin game, so distributors will gravitate toward products that are the easiest to sell with the least effort. If your product is complex, if goals are not in alignment, and if expectations are not reasonable, it will create conflict between suppliers and distributors, which negatively affects both partners’ businesses. Lack of support. Whether it’s lack of promotional and sales materials to support distributors’ sales efforts, lack of training, pricing/quality issues, or too few/outdated products—or even just plain lack of communication—a lack of support is one of the biggest complaints most distributors have about their manufacturing partners. Manufacturers and distributors need to communicate and work together to make sure that each partner has what they need to be successful. Whether tactical or strategic, manufacturers and distributors must remember that the relationship is a partnership that requires significant effort to maintain and grow. What challenges have you found in your manufacturer-distributor relationships? Tell us about it in the comments.